Yummy! Simple and very elegant! 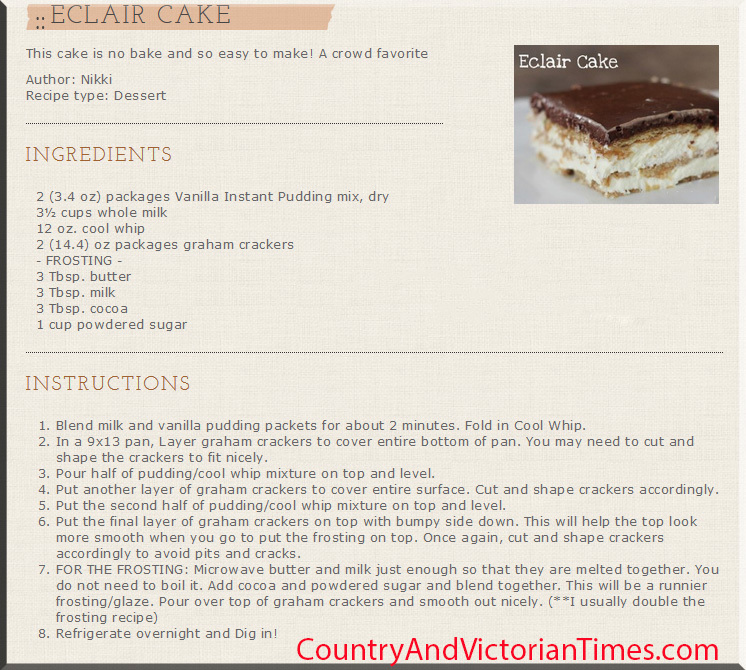 This entry was posted in Recipes, ~Dessert, ~Holiday, ~Party, ~Snack and tagged butter, cake, chocolate, cocoa, cool, Cool Whip, cracker, crackers, desert, eclair, frosting, glaze, graham, milk, powdered, powdered sugar, Pudding, refrigerator, sugar, whip. Bookmark the permalink.